March 18, 2016, 12:20 p.m. It should be obvious that fire on board a spacecraft is extremely dangerous. For one, it’s a hermetically sealed environment that can rapidly fill with noxious smoke. If anyone’s hurt or if the spacecraft’s life support systems are damaged, getting help will be difficult. (Have you seen "Apollo 13"?) And consider that fire in microgravity doesn’t behave like fire does on Earth. For all these reasons, spacecrafts are designed to minimize fire hazards, and experiments with fire in orbit have been limited. NASA has only experimented with small fires, not burning anything bigger than 4 inches in length and width. But the downside of these precautions is the space agency has little actual experience with fire in weightlessness, and that's limiting the design and testing of safety systems used for fire protection. To remedy this situation, NASA will light a fire inside a cargo capsule that will dock at the International Space Station (ISS). Don’t worry, it will be a controlled experiment and the astronauts who live between 200 and 250 miles above our heads will be safe. 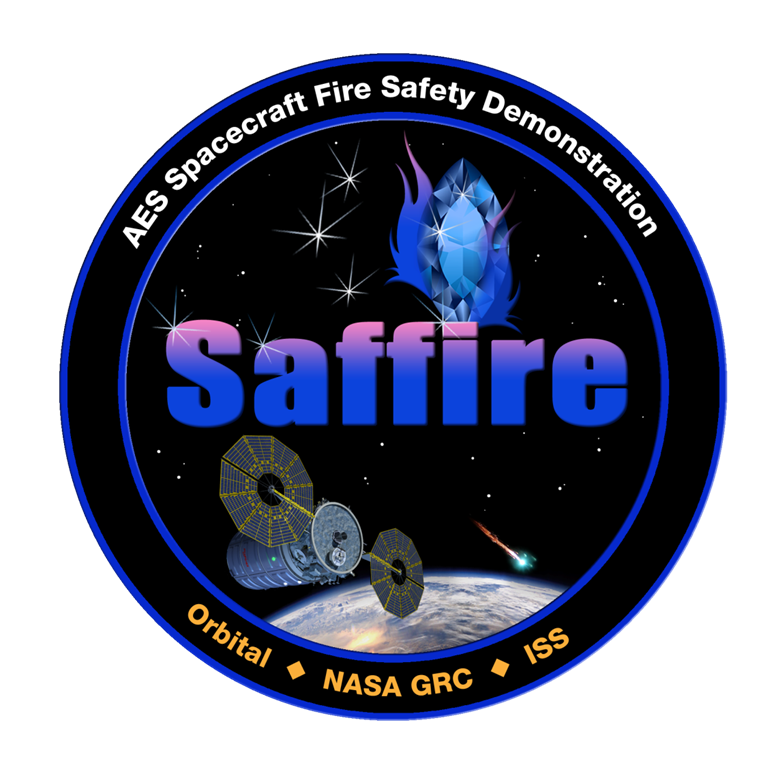 Always good with names and acronyms, NASA has dubbed this Spacecraft Fire Experiment, or Saffire. Next week, a cargo spacecraft made by Orbital ATK will be launched into orbit to rendezvous with the ISS. The Cygnus capsule, full of science experiments and essential supplies like food and water, will drop its payload and then be filled with trash. (Not everything can be recycled or reused in space, and you start to run out of space quickly.) One of the experiments on board is Saffire-I, hosted inside a special box filled with equipment and sensors that can be remotely accessed. Once the Cygnus spacecraft has disconnected from the ISS and is in a lower orbit, NASA will trigger the experiment from the ground, lighting a fire on a thin piece of material 3.2 feet long and 1.3 feet wide. It's expected to burn for about 15-20 minutes, though it could go on for up to two and a half hours, Gary Ruff, an aerospace engineer at NASA's Glenn Research Center, said at a news conference. During the burn, sensors will keep track of oxygen and carbon dioxide levels, temperature and pressure, and cameras will film what happens. This first goal of the experiment is to “investigate flame spread and growth in low-gravity to determine if there is a limiting flame size and to quantify the size and growth rate of flames over large surfaces,” according to NASA's page on the experiment. Data collected by this experiment and future Saffire tests could have useful applications, like choosing the safest materials for future crafts. It could also have some applications here on Earth, including fire safety and prevention efforts inside mines, airplanes and submarines. But in the name of science, Cygnus won’t escape a fiery death. The spacecraft will burn down on re-entry over the Pacific Ocean. Has Nigeria's first astronaut been stranded in orbit on a secret space station since 1989? Next week, NASA will start a fire on a delivery spacecraft near the International Space Station — yes, on purpose.